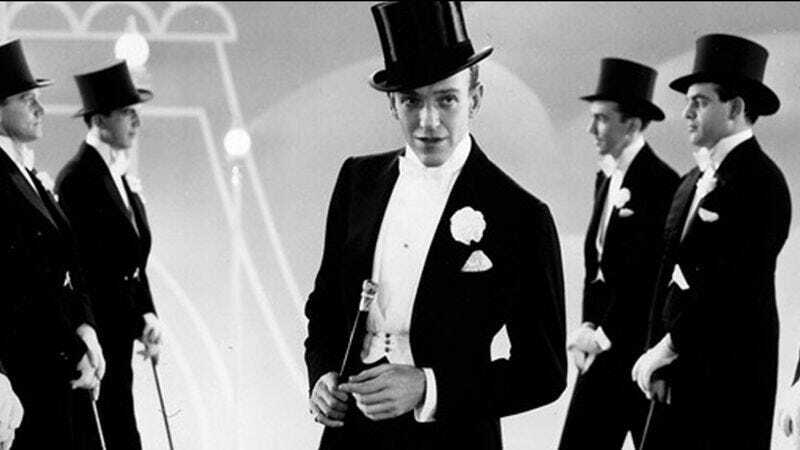 What it’s about: Since its introduction in the late 1700s, the top hat long symbolized elegance, opulence, and class, topping the heads of dapper gentlemen from Fred Astaire to Mr. Peanut. Over the course of a century and a half, the “topper” went from novelty, to formal wear, to standard business attire, back to formal wear, and then back to novelty. While top hats are rarely worn in the 21st century, they’re an enduring symbol of wealth, class, and a bygone era. Strangest fact: Wikipedia missed one of the best facts about top hats. Renowned top hat wearer President Abraham Lincoln’s stovepipe may have saved his life: When Lincoln was riding through Washington, D.C. on horseback one night, a would-be assassin took a shot at the president. However, his stovepipe hat provided such an ample target that the bullet hit that, knocking the hat off but sparing Lincoln’s life. Biggest controversy: John Hetherington is a controversial figure on the Wikipedia article’s talk page. The 18th-century London haberdasher is credited with creating the first top hat, and his own Wikipedia page claims that a riot ensued when he first wore it in public. However, the story was stricken from the top hat page as being unsubstantiated, and there’s some debate as to whether the top hat existed before Hetherington’s supposed 1797 invention of the garment. Thing we were happiest to learn: JFK may have killed hats in general, but he still embraced the top hat. Hats were a ubiquitous men’s garment before President Kennedy’s term, but once JFK began appearing bareheaded in public, American men followed suit, and hats ceased to be standard attire. So it’s surprising to learn that Kennedy was the last U.S. president to wear a top hat at his inauguration. The new president was intent on setting himself apart from his predecessor, which he usually did by embodying a forward-thinking younger generation. But in this instance, President Eisenhower had been the first president in decades not to wear a top hat on his first day on the job, so Kennedy went the other way and embraced tradition. President Lyndon Johnson’s rushed inauguration was by necessity more casual, and no president has worn a top hat since. Thanks, Obama. Thing we were unhappiest to learn: We must stop Johnny Depp before he wears another top hat! While top hats have long symbolized wealth and sophistication, once they fell out of fashion, they also represented a certain amount of whimsy, as characters like Willy Wonka or the Mad Hatter wore them to be defiantly out of step with the times. Depp has played both characters, to mixed reviews at best, and the danger still looms that he could further squander his talents playing Rich Uncle Pennybags in Ridley Scott’s long-delayed, ill-advised film adaptation of Monopoly. Either that, or Depp will be severely miscast as T-Pain. Also noteworthy: The one class of people still consistently wearing top hats are magicians. Just as Abe Lincoln used to stash important documents in his stovepipe hat, stage magicians from Lance Burton to Bullwinkle have long found the large headgear useful for storing props, live animals, and other illusions. In fact, the classic rabbit-out-of-a-hat trick can be traced to French conjurer Louis Comte, who first performed the trick in 1814. Best link to elsewhere on Wikipedia: The introduction of the top hat killed the tricorne hat popular among America’s Founding Fathers. And a resurgence in popularity in the 1850s put the beaver skin hat out of fashion and permanently crippled North America’s beaver trapping industry. The source of that resurgence was Prince Albert, still beloved among Britons for his years as a reformer while married to Queen Victoria. Albert had an outsized influence for someone with no official power, but died at the age of 42, and Victoria mourned him through the remaining 40 years of her reign. Further down the wormhole: While Sherlock Holmes is famous for wearing a deerstalker cap, he’s never described as wearing one in Sir Arthur Conan Doyle’s stories, and when they first appeared in The Strand Magazine, Sidney Paget’s illustrations often depicted the detective traveling around London in a top hat. While Doyle revisited his most popular character again and again, eventually writing four novels and 56 stories, once the character entered the public domain, non-canonical Holmes stories abounded. Some stuck close to the original stories, and some did not. (In TV movies The Return Of Sherlock Holmes and 1994 Baker Street, the detective is cryogenically frozen and revived to solve contemporary crimes.) Bob Clark’s 1979 film Murder By Decree pits Christopher Plummer’s Holmes against a natural enemy—fellow legendary figure of 1880s London Jack The Ripper. We’ll visit Britain’s most notorious serial killer in next week’s entry.